This synopsis introduces our concept of a novel “how-to” program for public television . . . and much more than television. While the series deals with the design, construction, and extensive field testing of an appealing all-electric zero-emissions on- and off-road recreational automobile, its real purpose is to encourage as many young people as possible – particularly young women – to consider careers in automotive technology. Is it time for the idea of a public television series, made with technical excellence, imagination, and wit, to persuade young people, especially women, to consider engineering as a career? More to the point, it will accomplish this by demonstrating the satisfaction that one derives from working constructively in engineering and science. In short, we want to give young viewers a reason to see higher education as the best route to success in life. When considering the potential appeal of this series, note that some automotive program episodes on YouTube have had over four million views! Over the life of the project thus far, the structural design of the vehicle chassis evolved from an exceedingly primitive dune buggy to a more sophisticated titanium tubular space frame to an aircraft-like semi-monocoque aluminum sheet-metal body to, finally, a highly optimized structure fabricated from advanced composite materials. “This program tells the story of how engineers design and build a high-technology electric automobile that embodies the promise of zero-emission transportation. Those words were written on a piece of scrap paper while waiting in a local diner for breakfast. The waitress was friendly and capable, as always. While her vocation is altogether an honorable and worthy one, I could not help wondering whether she, and innumerable others similarly situated, might at one time have wanted to pursue a more challenging and rewarding career. As civilized people, we like to tell ourselves that opportunity is now equally available, irrespective of gender. Were this actually so, there’d be as many women as men in the engineering departments of American corporations. We have a long way to go. Why do this on public television? There was a time when this kind of programming could have but a single home: what many optimistically regarded as educational television, now universally called public TV. Today, public television is but one alternative for video presentation. And therein lies the problem. In the days of the single source for educational programming, everyone knew where to turn. Given the numerous avenues existing today, it’s easy to get lost in the clutter. It’s not the viewer who gets lost. It’s the programming itself. Our series seeks an audience of people interested in unusual automobiles and how they are created. How can we get their attention when the competition is intense, noisy, and little troubled by principle? We did a simple YouTube topic search for “cars”. What did we get? After the first thirty million or so videos, we wearied of watching and abandoned our survey. When public television is challenged to defend its remarkably small market share, approximately 2% of the total viewership, it adverts to the high caliber of its audience, their above-average education and income, their greater participation in the economy. This is all well and good, but is it enough? Has public television no greater value? We believe that it can do more. This value derives from the synergy of public television as the flag-bearer of a larger and more enterprising undertaking, centered on the ubiquitous WWW, with its reach into virtually all the world’s corners. The series content available on the website will dwarf what’s broadcast on public television. It will be available to everyone, at all times, long after the last on-air television broadcast. What does the public television element contribute? It enforces a high standard of technical and æsthetic excellence, and it demands a level of integrity absent in all other media. Put plainly, if a program is good enough for public television in the US, then it’s more than good enough for everywhere else. In doing so, it opens doors and establishes bona fides that mark a series as something very special. This is a proposal to fund the development, creation, and distribution of Dune Rider!, a fun and educational 26-episode television series for both adolescents and adults. The series will appeal to the interests of young men and, more importantly, awaken an interest in engineering in young women. Dune Rider! is intended for original release through North American public television and simultaneous release through social media and educational portals, including schools and libraries. Instructional design will be incorporated into the series to allow multi-level academic participation. 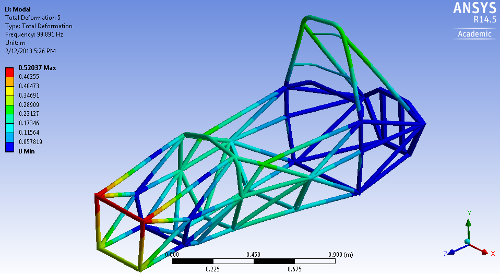 For example, a companion web site designed for advanced-placement high school students can be created that focuses on such engineering concepts as suspension dynamics and structural analysis. There are more examples of ways the series can be academically exploited. Dune Rider! follows the creation, construction, and ultimate test drive of a unusual recreational vehicle while teaching automotive engineering and math concepts. As a TV show, this will be pure high performance fun as we discover what it takes to imagine, design, and build a real on- and off-road car. Educationally, the show, with its companion social media, will create a portal to learn and experience the product design, math, and engineering concepts found in automotive, manufacturing, and robotics. Instructional design elements will allow targeted emphasis for classroom, library, and other academic streams. Related websites emphasizing STEM (science, technology, engineering, and mathematics) concepts are anticipated. Dune Rider! is foremost an innovative introduction to automotive engineering for release through North American public television and related agencies (schools, libraries, training centers, etc). About 60% national penetration is anticipated. Dune Rider! is also intended to be an ongoing series with a second season (26 episodes) following a successful first launch. Distribution is critical. Our experienced team specializes in all forms of carriage, marketing, and distribution strategies preferred within public television and academic institutions. Man, by himself, is a weak and vulnerable creature, made of soft matter. Yet, by virtue of his ability to bend and form metals to his own purposes through the exercise of intellect and will, he has built entire civilizations and reached other worlds. It can be argued that the power to first visualize and then fabricate artifacts — whether these be stone knives, automobiles, or spaceships — defines humans as Nature’s finest achievement. These artifacts never spring spontaneously into existence. They are the product of many steps, each carefully envisioned and then expressed in the forming of structures from raw materials. The creation of an automobile to a specification exemplifies the process of fabricating complex entities, and this process, more than art or philosophy, makes us what we are. More than merely demonstrating this in condensed form, our television series is intended to inspire in the viewer, especially the younger woman not yet committed to a career path, a feeling for the marvel of this creative passion, realized in the formal discipline of engineering. Please keep in mind that the entire complexion of the series will be a focus on depicting women as successful practitioners of both engineering as a high technology discipline and the physical trades which convert ideas into hardware. The engineers, welders, and machinists won’t be actresses cast for their looks. They’ll be real engineers, real welders, and real machinists. In the beginning, television was intended to educate as well as entertain, but the balance soon drifted away from the teaching role that some had foreseen for it. Now that television can be combined with the Internet and the numerous portable devices in almost universal use, the educational possibilities really ask to be re-examined. Dune Rider! does not propose to usurp the role of the teacher or of the school. Rather, it will light a fire of interest in young people not yet committed to a particular career. We intend to show that engineering and technology are highly appropriate careers for women, that the days of “men only” are long gone, not only in principle and law but in fact. We want to reach high school students in poorer areas. It’s one thing to hear adults repetitively claim that education provides the only real escape from destitution, but nothing will actually happen unless and until the student develops within herself the passion and drive required to pursue a specific goal. The root of the word, education, is educe, meaning to draw forth from within the student. Learning cannot be painted onto the student; it must emerge from within, through a strong and lasting desire to learn. One of the best ways to encourage this is to show the student what he or she can develop the ability to accomplish. 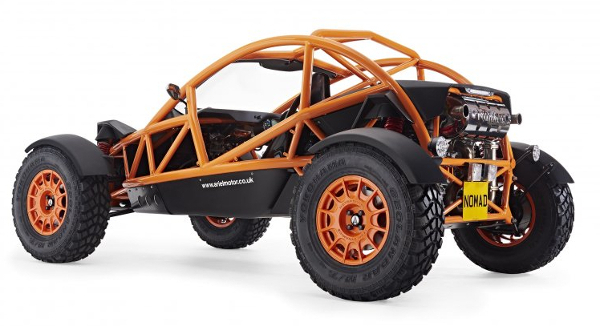 A young person may have an existing interest in cars or in off-roading, but one ought not to assume that this carries with it any grasp of automotive engineering. The best means of engaging the mind in something specific is actually doing it. When this is not an option and since humans are visually oriented – nearly a third of the cortex exists to process vision – watching it done (along with hearing it carefully explained in detail) captures and holds the interest and attention. Bear in mind that a young person does not select a career on the basis of exhaustive analysis, carefully conducted and discussed in committee. It arises from that individual’s own passions, and encouraging those who find automobiles, engineering, and technology fascinating can pay major dividends. Television consistently avoids technical rigor by heeding the Stephen-Hawking-as-author dictum, “Every equation in (the) book will cut sales by half.” Whether for good or ill, adding physics classroom rigor to television comprises instant death: it must be avoided…well…rigorously. However, not all is lost, for the key to demonstrating that science, mathematics, and the arcana of technology are good is to show not the calculations but the results. Not the solutions to the equations nor the numerical answers to the calculations but the achievements made manifest and palpably real. Hands on. In short, demonstrate the connection between the particular scientific principle and the car shaving three seconds off an autocross run. Education is paramount. Why? Because of what it makes possible. Children of the well-off are spoiled for educational choice; children in poverty need not only financial assistance but encouragement to find within themselves the determination required to succeed. Throwing money at poverty accomplishes little, especially in, with, and for the young. If they are to get anywhere in life, it will happen by virtue of their inner resources.